The stencil buffer can be used as a general purpose per pixel mask for saving or discarding pixels. The stencil buffer is usually an 8 bit integer per pixel. The value can be written to, increment or decremented. Subsequent draw calls can test against the value, to decide if a pixel should be discarded before running the pixel shader. An 8 bit mask as an 0–255 integer, used when writing to the buffer. Default: 255. Stencil functionality for objects rendered in the deferred rendering path is somewhat limited, as during the base pass and lighting pass the stencil buffer is used for other purposes. During those two stages stencil state defined in the shader will be ignored and only taken into account during the final pass. Because of that it’s not possible to mask out these objects based on a stencil test, but they can still modify the buffer contents, to be used by objects rendered later in the frame. 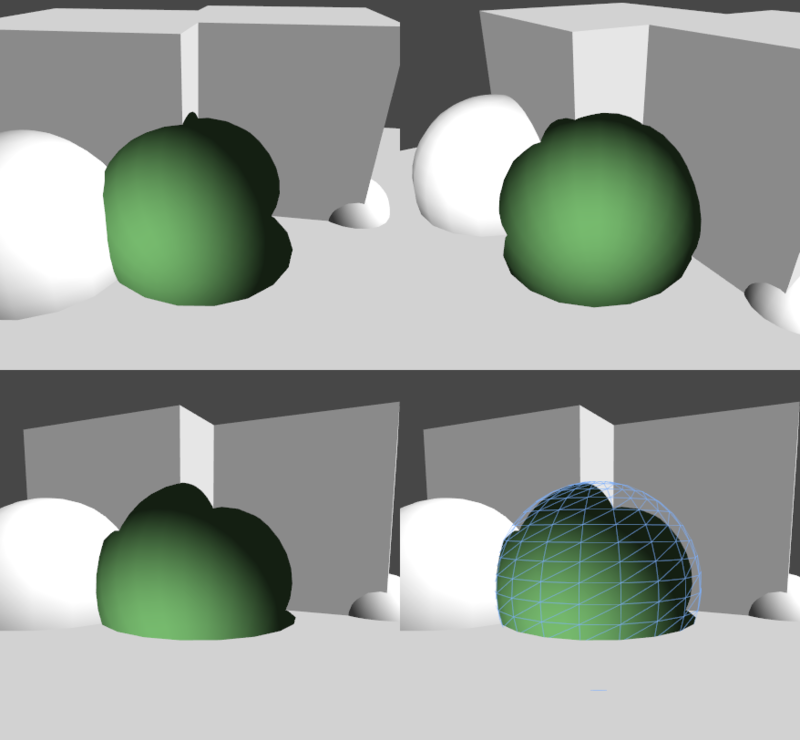 Objects rendered in the forward rendering path following the deferred path (e.g. transparent objects or objects without a surface shader) will set their stencil state normally again. The deferred rendering path uses the three highest bits of the stencil buffer, plus up to four more highest bits - depending on how many light mask layers are used in the scene. It is possible to operate within the range of the “clean” bits using the stencil read and write masks, or you can force the camera to clean the stencil buffer after the lighting pass using Camera.clearStencilAfterLightingPass. The first example shader will write the value ‘2’ wherever the depth test passes. The stencil test is set to always pass. It will decrement the current value if the depth test fails. Because decrWrap is used, when the value falls below zero it will wrap to 255.